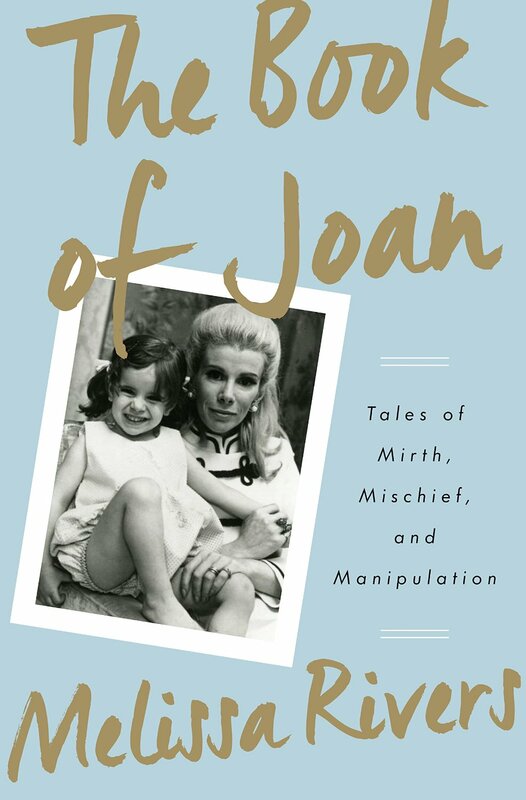 I am looking forward to reading Melissa Rivers’ book about her Mom, Joan Rivers. I pre-ordered it. I miss Joan, I really do. Her death was weirdly shocking for me. Obviously, it was a surprise (like someone else’s. ), but more importantly I saw Joan’s relationship with her daughter, Melissa, on TV. Crazy or not, you know those two loved one another. Immensely. Maybe even the way I love(d) Shirley. After Joan’s death, the first thought I had was for Melissa. Why? Because of the road that she was being forced down. Because of the club she just unwillingly became a member of. I could feel so acutely what was ahead for Melissa. The loss. The sadness. The grief. The despair. Oh man… And grieving publicly? That can’t be easy. 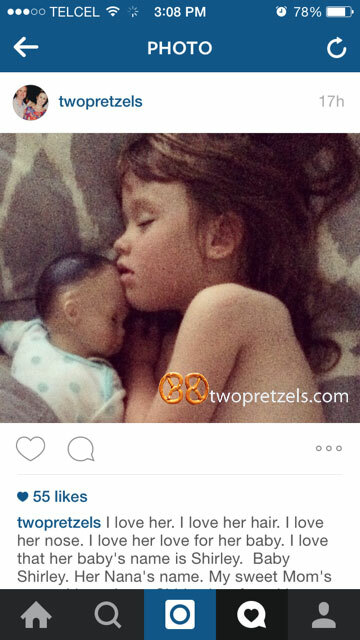 I think it will be lovely to read the stories that Melissa is willing to share about her Mom. As I’ve learned, there is therapy and healing in saying your Mom’s name after she’s gone. I hope that writing this book has helped Melissa. I know that writing these posts has brought me more healing that I could ever describe. Speaking of saying her name, I posted this picture of Spiderman on Instagram last night. It made me smile. But better yet, ah life. I will say it again. 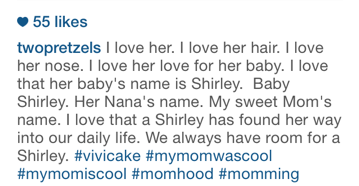 I love that a Shirley has found her way into our daily life. We always have room for a Shirley. « Oh, Etsy… you never disappoint.